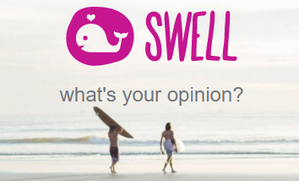 With Swell we created the simplest possible experience to get feedback and help others when being indecisive. It started as a photo app and grew into a multi-platform social network that helps people with daily decisions. A passionate team & a social network with over 2.2 million people that share their opinion wherever they are make the idea of swell decision making possible. Founded in 2016 we moved forward as one of the fastest growing startups in Austria with expertise in community growth, influencer relations, innovative market research solutions, building and marketing chatbots.